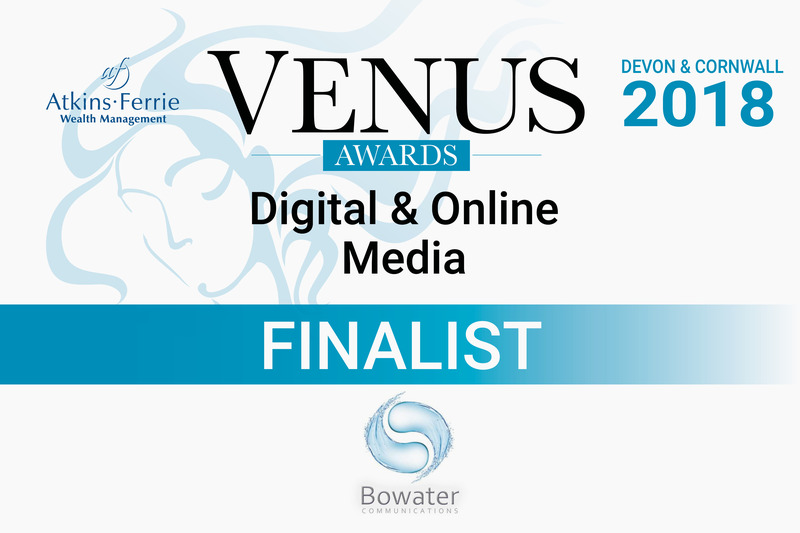 Snow day couldn't have ended better than with the announcement that FouldsCRM has made it into the finals of the Venus Awards for the category Digital & Online Media. I'm beyond excited and can't wait to head to Plymouth on the 27th April. Here you can read the offical press release courtesy of the Venus Awards. Due to unexpected weather conditions, the Finalists Announcement of this year’s Devon and Cornwall Venus Awards association with Atkins Ferrie Wealth Management and in partnership with Alexis Bowater of Bowater Communications had to be canceled. Nonetheless, the finalists were announced via Facebook live by regional partner Alexis Bowater on 1st March 2018. Competition has been fierce this year in the region with over 1800 nominations and applications received across 15 categories – of which Business Mother of The Year was voted for by the general public. The Awards in Devon and Cornwall were launched in September 2017 and candidates have been whittled down to the Finalists stage through a combination of public and sponsored judging. Sponsors and candidates have attended a variety of events over 4 months to reach this point. Associate Sponsor Atkins Ferrie Wealth Management has continued their support of the Awards for a fourth consecutive year and is also sponsoring the Lifetime Achievement Category. Heart FM is sponsoring the ever-popular Business Mother of the Year Award, which is voted for by the public in Devon and Cornwall this year. This year’s Charity Sponsor is St Luke’s Hospice. St Luke’s Hospice Plymouth is an independent charity providing specialist care and support to people with progressive life-limiting illnesses in Plymouth, South West Devon and East Cornwall. The Venus journey will culminate in a glamorous Ceremony and Gala Dinner to be held at Crowne Plaza Plymouth on 27th April 2018.